It is the middle of summer in the Central Valley and the only birds in my backyard these days are house sparrows and mourning doves. I always look forward to when the weather starts cooling down and cool weather birds start migrating. 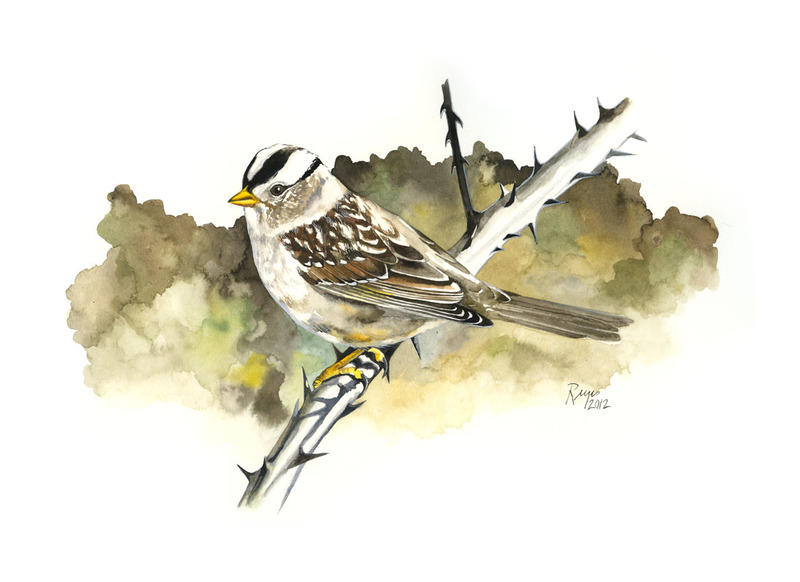 White-crowned sparrows are one of these birds. Alas, I can only paint one for now. This one's titled "A thorny perch II". "II" because I had painted one with the same title years ago. I believe that painting is somewhere in Buffalo, NY. Even my paintings migrate.